Notes: Leaves are grayish green with a wavy margin, elliptical or oblong. Leaves are pinkish-velvety when very young. 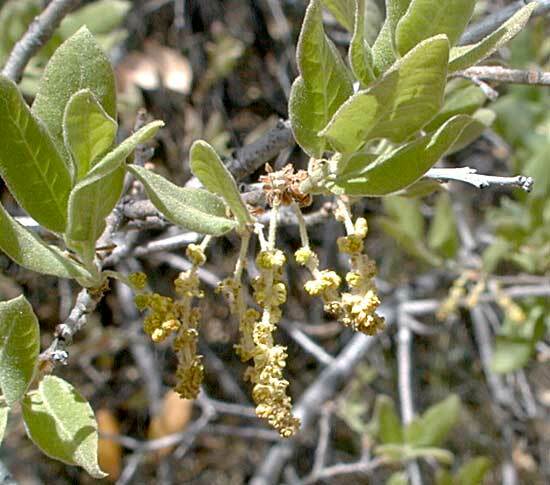 Male flowers in drooping catkins; female flowers in short spike on same tree. More than a dozen species of Quercus in Arizona. Wavyleaf oak plant profile on the USDA Plants server.